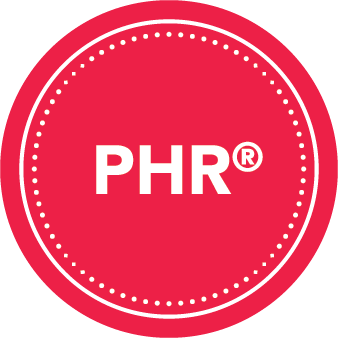 The PHR and SPHR certifications are for HR professionals with experience planning and implementing HR programs and policies. We help you prepare and pass either exam based on your current level of HR experience. HRCI’s Professional in Human Resources™ (PHR™) certification is an ideal way to establish your operational HR knowledge and expertise. HRCI’s Senior Professional in Human Resources™ (SPHR™) certification solidifies your credibility as an HR leader. Select from a variety of ways to prepare for the PHR or SPHR exam. From live classes in the Denver area to slide decks and 1x1 coaching, we help you prepare to pass your PHR or SPHR exam and earn your certification! We offer fun, interactive classes in the Denver metro area, from Ft. Collins / Loveland to Castle Rock / CO Springs. If you’re studying on your own, with a study group, or taking a non-HRCPP prep class, these slides, created to complement the HRCP materials, will be an invaluable resource. Our proprietary test-taking workshops are full of tips and tricks to help you pass any HR certification exam. Get individualized tutoring and coaching on key exam topics or test-taking strategies to increase your chances for exam success. Bring our HR prep classes to your organization. We'll tailor our curriculum to your needs and staff. Get all the resources you need to plan and deliver a successful prep course! How do I apply for the PHR/SPHR exam? Why do you use the HRCP prep materials vs another provider? HRCP has been producing quality prep materials for the PHR/SPHR and other HRCI exams since 1995. We believe they are the most comprehensive study materials on the market, particularly when combined with HR Cert Prep Pros’ expansive slides. Is it OK for me to use my friend's HRCP and HRCPP's study materials? No, unfortunately not. When you purchase HRCP and HRCPP study materials, you agree that they are for your use only. Why might I want to upgrade to the higher level of the HRCP.com materials? We find that most of our students use only the print version of the materials. If you would like to be able to review the material on your computer or tablet and/or listen to individual pages in audio, then you may want to upgrade. Please note that, at this time, audio is available on a page-by-page basis; there is no download feature.